The Honeycombs – Early Pioneers of Female Equality? I have no idea why this suddenly popped into my head. I think it may have been because I had BBC Radio 2 gently playing in the background as I was working and one of their records must have taken me back 50 years. For whatever reason, I suddenly had this vision of the sixties group, The Honeycombs. they had a female drummer! And my memory was, that although her gender was obviously commented upon, this drummer was as good as any other drummers in pop groups at the time and didn’t go overboard on the ‘dolly’ bird look. She simply played drums and let them speak for her. A little more digging unearthed that she was actually called Honey Lantree. No idea what she’s doing now though so if you know, please share. The fact that the image of her has remained with me through all these years underlines the importance of role models for girls. 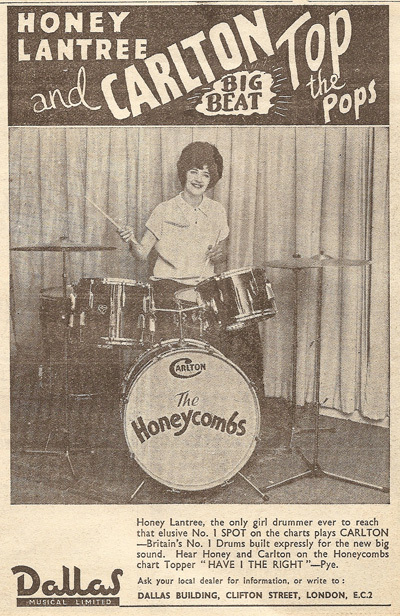 I didn’t go onto become a drummer, it’s true, but I do bang the drum for women…. Thinking of making some significant and positive changes to your life? Check out the RenewYou days happening across the UK, USA, Greece and across the world. Click here for more information. RenewYou is a one day course written by me, delivered by women, for women everywhere. It’s designed to give a real confidence boost to women in all areas of their life. Check out this story from Jane Weaver. 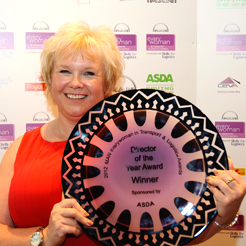 RenewYou didn’t make Jane excellent at what she does, (she was that already) but it did give her the confidence to go for, and win, a national award!